During winter break, my son and I went for a bike ride in Wilder Ranch State Park, which has popular hiking/mountain biking trails. I ride a long-wheelbase recumbent bike, which is not really designed for off-road bicycling, and has a higher minimum speed for balancing than most upright bicycles. That resulted in my having to get off and walk the bike two or three times on steep, rutted portions of the trail. We took Engelman’s Loop in the clockwise direction. Here is the view from the first rest stop we made climbing the hill. We had not had much rain yet this season, so the new grass has not yet grown to hide last year’s dried grass. The horse paddock and the ranch buildings are a few pixels in the top center of the image. You can see my recumbent here at the first rest stop. The day was fairly clear, so we had a good view of Monterey across the bay, with only a little haze. Here is my son at the third rest stop. Yes. You went inland! People congregate on coasts, which I understand, since I was born and grew up on the California coast. 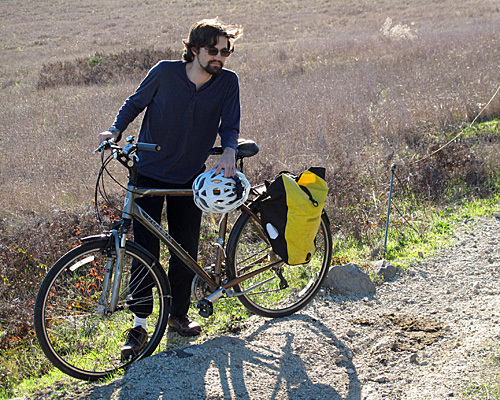 But if you want see more of California, with less people, you point your bike inland. 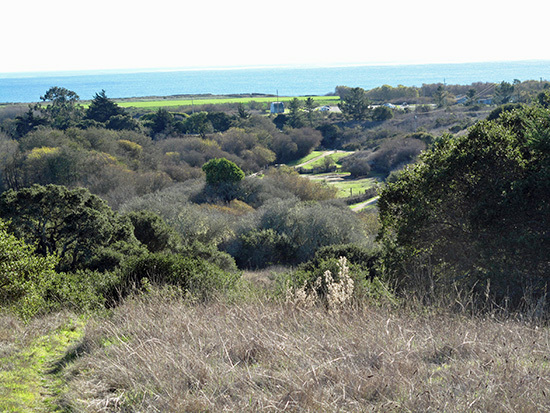 I think of Wilder Ranch as being coastal, not inland—I work at UCSC, which is further inland than Wilder Ranch. 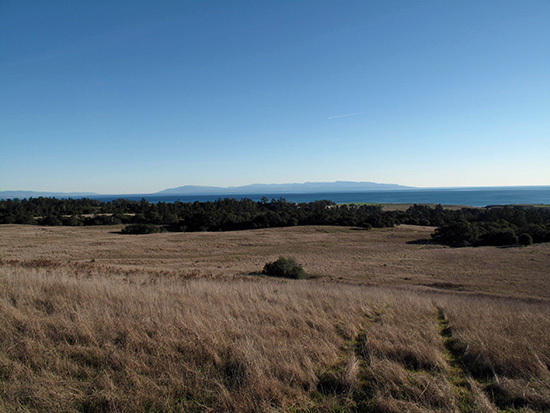 In fact the inland part of Wilder Ranch is the Chinquapin Trail Trailhead connection to the UCSC campus and Marshall Field. 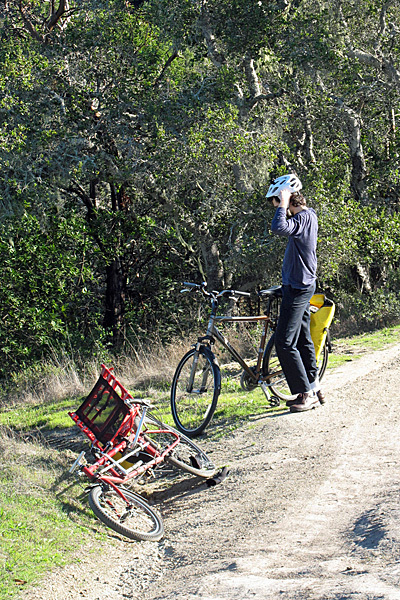 You did the inland trails too. I loved them. We got lost on the cowboy trail which was fun, ended up in a herd of cattle!